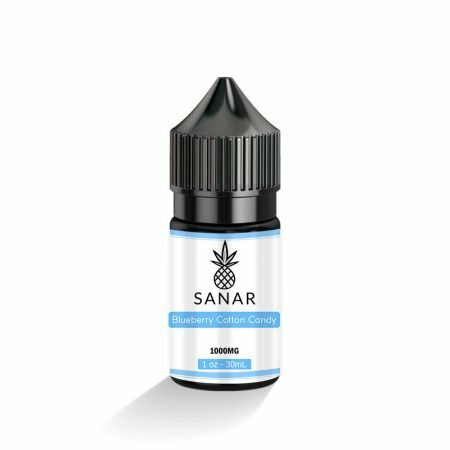 Sanar CBD offers 5 flavors of CBD E-liquid Vape Juice and comes in 4 different strength options. VG/PG Ratio is 90VG/10PG. All legal hemp makes the CBD isolate that goes into this product. 0% THC. Lab Tested. Sanar CBD offers 5 flavors of CBD E-liquid Vape Juice and comes in 4 different strength options. Natural Flavored E Juice designed to bring out the natural terpenes of the hemp product. VG/PG Ratio is 90VG/10PG. All legal hemp makes the CBD isolate that goes into this product. 0% THC. Lab Tested. Subscribe to be entered into our monthly giveaways. Join our social media platforms for more chances to win.